Chef Lisa Roukin has spent years creating gluten-free dishes that use no hydrogenated oil and refined sugar. Now, after a decade of testing and developing healthy recipes, the Le Cordon Bleu chef is sharing her ultimate kitchen essential: the My Relationship with Food silicone baking mat. The chief benefit of the BPA-free silicone mat is that nothing sticks thus enabling cooks to reduce oil up to a full 100%. Whether the mat is used for roasting vegetables, with only a touch of oil for flavour, or baking homemade fish & chips made with corn flakes instead of traditional wheat-based batter, any added oil is minimal compared to frying. The results are delicious and have the advantage of decreasing the chances of developing type 2 diabetes or heart disease in later life. Roukin continues, “I discovered the mats early in my catering career when I noticed that the chefs used silicone fibreglass mats for crisping vegetables, producing perfect tuiles and creating delicate chocolate work. Light, easy-to-clean and store, the silicone mats were an important reason how luxury restaurants were able to achieve their results. “Later, I discovered the convenience of using the silicone mat in my own home. I no longer had to scrub endless baking trays! It became an essential ‘bit of kit’ in my own kitchen and I used it extensively when creating the dishes found in my cookbook, My Relationship with Food. Lisa Roukin is a chef, culinary instructor and motivational speaker. In response to her first cookbook, My Relationship with Food published in November 2014, she has received substantial press attention. The book, which tracks Lisa’s journey from overweight child to underweight young adult to healthy grown-up, has proven popular with readers. Lisa and her story have been featured on BBC Oxford radio and at corporate organisations. 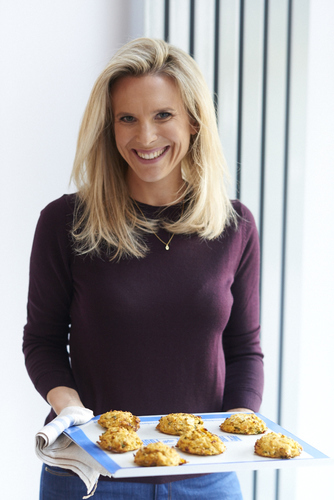 An early proponent of gluten-free and healthy eating, Lisa is a key speaker at corporate events and has recently inspired the employees at many corporate companies to make better food choices. For over a decade she has taught children of all ages to cook and works very closely with children recovering from life threatening illness using cooking as a form of creativity and therapy. She is also involved in many different charities, giving talks and demonstrations. Her journey to healthy-eating is one that is both topical and inspirational to those seeking a better relationship with food. - Mats sourced and used by Le Cordon Bleu chef Lisa Roukin for over a decade. 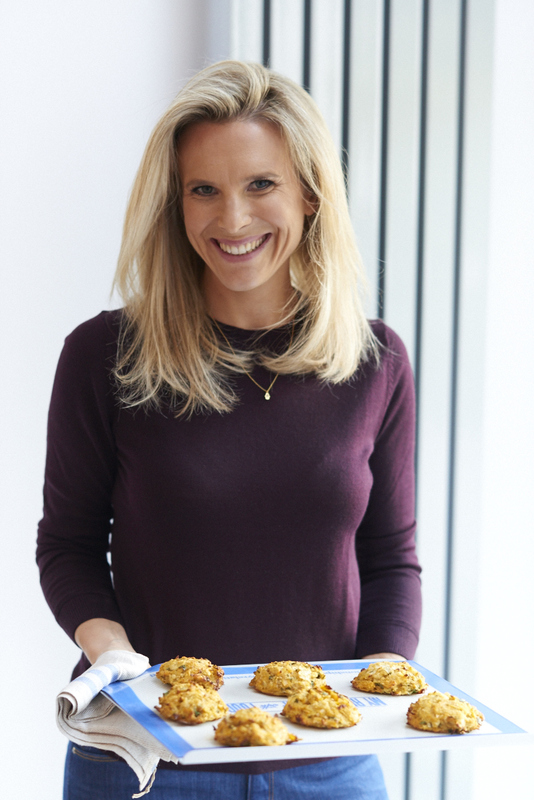 - Inspired recipes in the cookbook, My Relationship with Food, which has been featured in: The Sunday Mirror, BBC Good Food, The JC Newspaper, Closer, Gluten-free Heaven, Vegetarian Living, Your Fitness and Reveal Magazine. - Used by professional chefs and now available for the home cook. - More to healthy eating than just new ingredients – need the right tools, too. - Makes preparing healthy foods easier. Less oil needed. - Makes changing diet habits easier. (Less fuss so keeps you on track). - Used in professional kitchens. - Preparation of gluten-free desserts now even easier. - Baking and chocolate work also made easier. Less chance of burning and easy clean-up. - Clean and ready to use again within seconds. No scrubbing! - Economical as it replaces parchment paper and aluminium foil. - Good standard. Thicker than most mats and durable. - The baking mat measures at 295x380mm. - FDA & LFGB approved materials. And BPA-free. - Does not break, rust or dent. - Can use it in the oven or microwave. - Cools quickly so you can pick it up and bring it to the table. - Does not pick up the flavours of the foods that have cooked previously on the mat. - While other mats are available, this quality one lasts for 3,000 uses. - Rolls and is easily stored. - Very good quality to price ratio. - Ideal gift at £19.99 plus P&P. - Place the baking mat with the writing side up on a baking tray or rack. - Wipe clean with a damp soft sponge then rinse with water. A mild detergent may be used if needed. - Slight discolouration of the mesh is normal after use. - Never cut food on top of the baking mat. - Avoid using the dishwasher as a method for cleaning. - Only grease the baking mat if the recipe requires it. - Never use a cut or ripped mat as the fiberglass mesh material could migrate onto the food. - Do not use the baking mat over an open flame, under the grill or place directly on the oven bottom. - Do not use scrapers or brushes to clean the baking mat. This press release was distributed by ResponseSource Press Release Wire on behalf of Lisa Roukin (My Relationship With Food) in the following categories: Home & Garden, Women's Interest & Beauty, Food & Drink, for more information visit https://pressreleasewire.responsesource.com/about.